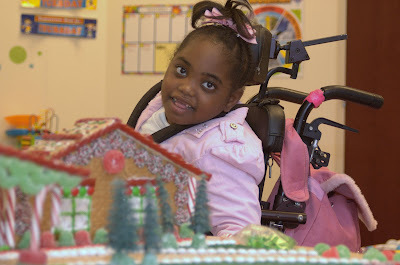 To read more about Carrington’s Easter trip, see today’s Daily Press. The story is online here. UPDATE: WTKR-TV Channel 3 also had a story, on its 11 p.m. newscast. You can watch it online here. 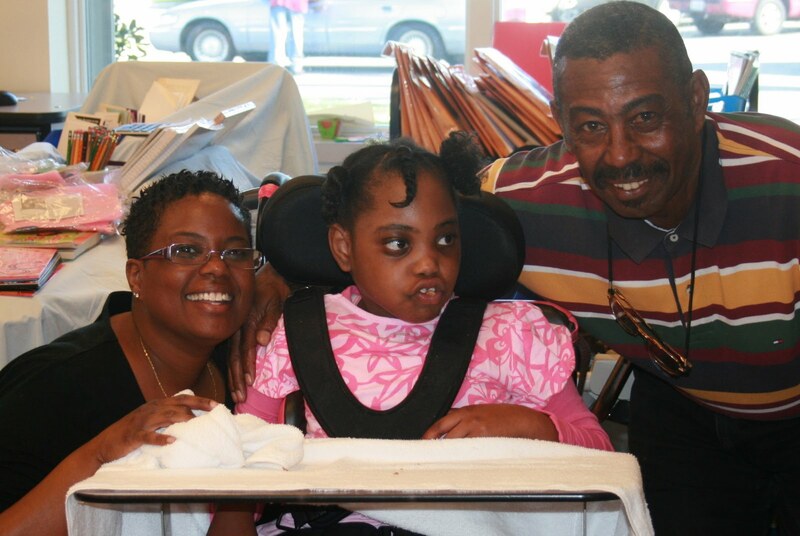 A grandfather’s handwritten letter to President Obama turned into a trip to the White House for a 9-year-old Hampton girl who lives at St. Mary’s Home for Disabled Children in Norfolk. 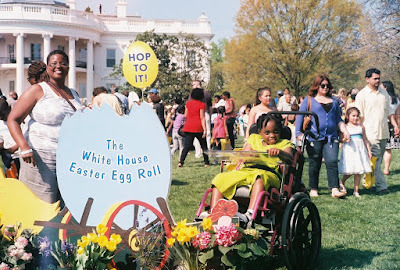 Carrington, her mother and her maternal grandfather were at the White House this afternoon to take part in the 2010 Easter Egg Roll. 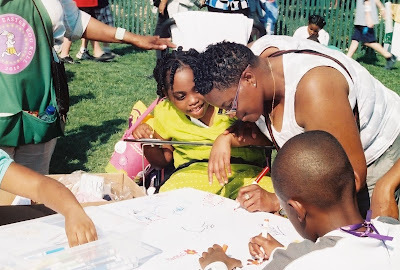 In February, Carrington’s grandfather, Harold C. Brown Jr. of San Francisco, mailed a letter to the president requesting that Carrington be invited to this year’s Easter Egg Roll. He included some photos of his granddaughter. 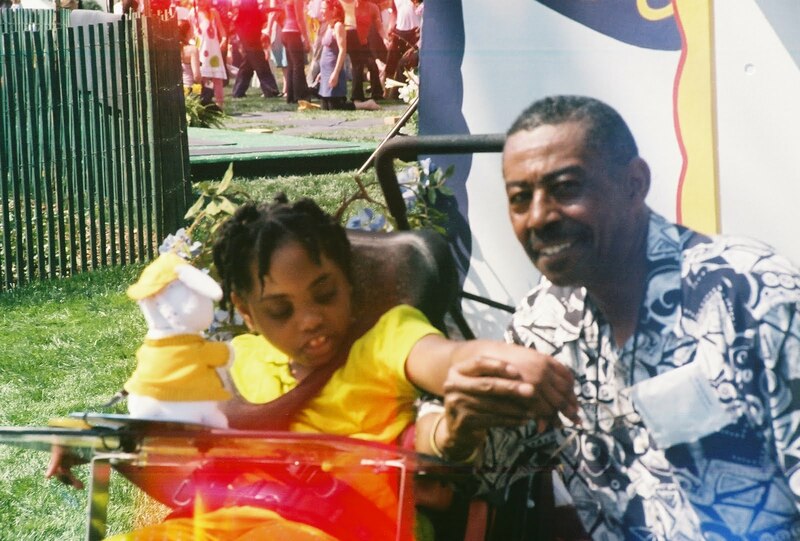 Last week, he received a call from the White House and an email letting him know that three tickets had been reserved for him, his granddaughter and his daughter. The proud grandpa flew from California to Virginia so the three of them could drive together to Washington, D.C., on Easter Sunday. 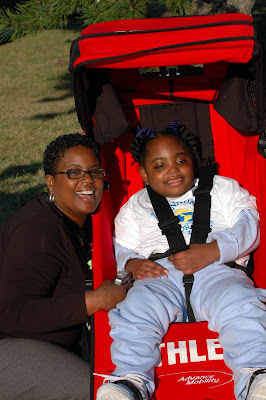 You can read more about Carrington’s adventure here, on the website of the Daily Press of Newport News. 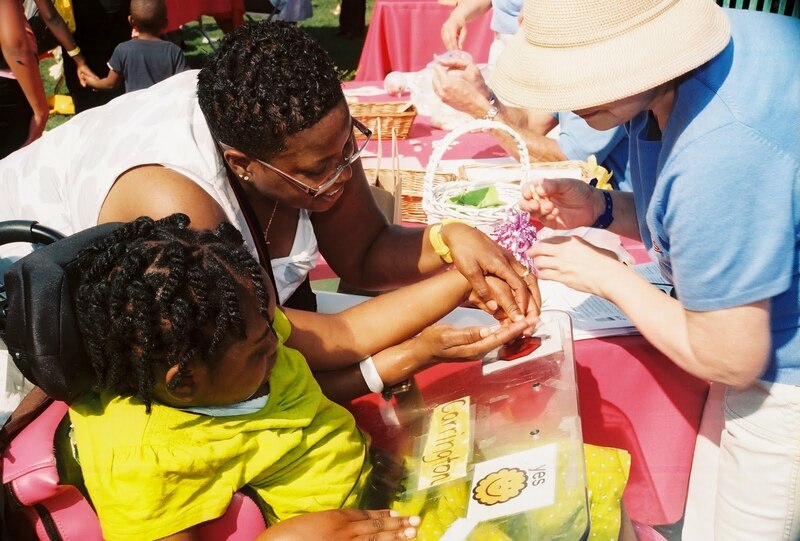 For more information about the Easter Egg Roll, click here. A 9-year-old Hampton girl who lives at St. Mary’s Home for Disabled Children is going to the White House on Monday to take part in the world’s most famous Easter Egg Roll. In February, Carrington’s grandfather mailed a handwritten letter to President Obama requesting that Carrington be invited to this year’s Easter Egg Roll, a tradition that dates back to 1878. He included some photos of his granddaughter. 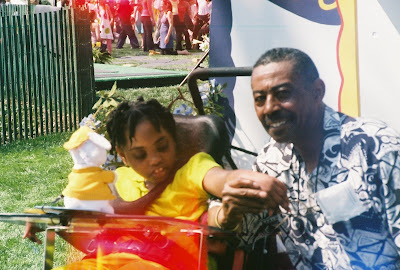 A few days ago, he received a call from the White House and an email letting him know that three tickets have been reserved for him, his granddaughter and his daughter (Carrington’s mother). The proud grandpa flew from San Francisco to Virginia so the three of them could drive up to Washington, D.C., this weekend. The Easter Egg Roll on the South Lawn is the largest public event at the White House each year, with 30,000 people from across the country expected to attend. For more information about the Easter Egg Roll, click here.